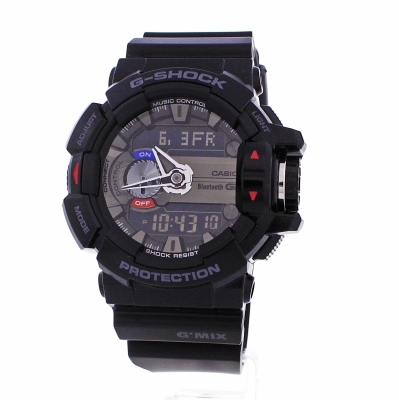 Casio G-Shock G'MIX Bluetooth Hybrid Smartwatch GBA-400-1AER to przede wszystkim atrakcyjny zegarek męski. Tworzywo, z którego wykonana jest koperta to stal nierdzewna i kauczuk, co świadczy o wysokiej jakości produktu a wysokiej jakości tarcza z ekranem LCD, zaimponuje każdemu fanowi technologii. Zegarek wyposażony jest, między innymi, w chronograf (stoper) i funkcję daty oraz alarm (budzik). Jeżeli chodzi o wodoszczelność, zegarek jest odporny do 200 metrów. Oznacza to iż jest zbudowany z myślą o nurkowaniu (z wyjątkiem nurkowania głębinowego). Zegarek jest wysyłany z 2-letnią grawancją i oryginalnym opakowaniem od producenta. Arrived promptly. Great looking watch. Bought for a present does everything it says. Only downside was we wanted to engrave the back but its covered in writing so was unable to do this. I have had this item for a little over a week now and I have found no faults with it. Sometimes when you buy a new watch with all the trimmings , it can take a little time to figure out and remember which button does what and how many times you need to press the button to get to the desired feature. This however, has been eliminated by being able to do all of these things via your phone I.e set alarms, timers, stopwatch and such. The ability to control your music from your phone is easy to pick up quickly and is very useful for not having to take your phone out of your pocket whilst walking and listening to music. 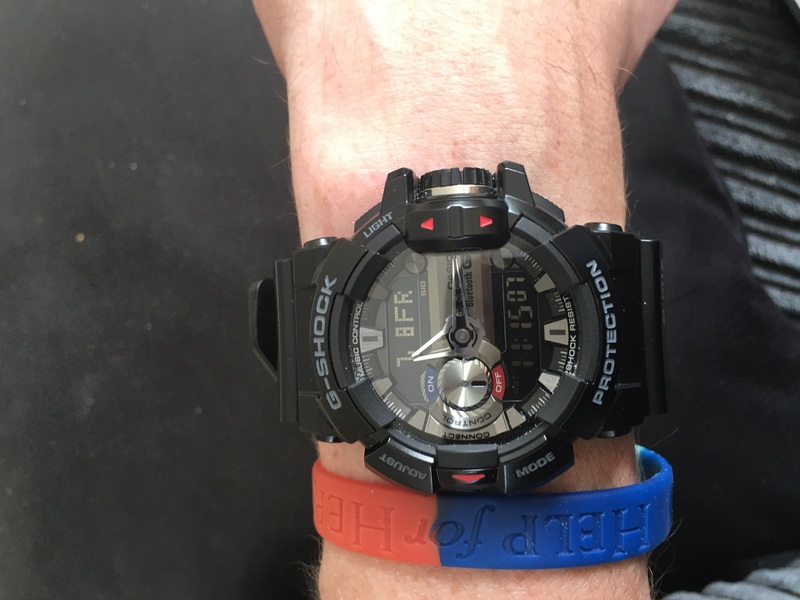 The pictures of the item show it to have what looks like a cheap plastic strap and whilst it is a plastic/resin, it still has the durable feel and build quality that all g-shock do. If you are looking for a classy hybrid that would look good with a suit then you will probably want something else. But if you want something that is tough through any weather and a bit of free diving then i would definitely recommend this watch. my wife bought this watch for me, notfrom the watchshop, but from a high street jewellers. she told them i love my tech, and tht i had a galaxy s6 phone. the watch looked smart,followed all the instructions, downloaded the app, but then it all went pear shaped. found out that the phone would not pair with my phone, it wouldnt even pair with my wifes galaxy s5. the latest galaxy it would work on was a galaxy s4 from over 2 years ago. 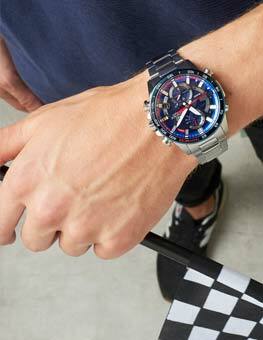 ended up paying extra and got the casio ediface f1 red bull ltd edition watch instead, brilliant watch. great wee watch. does everything i thought it would do. Really nice watch and a few good features. Perfect gift for the husband. Excellent product, good service. Definitely use this website again. I bought the watch as a gift for my fiancé and he absolutely loved it. 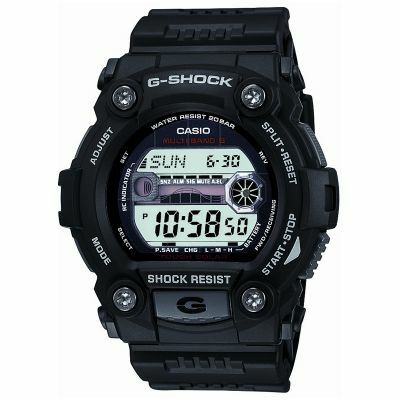 He told me weeks before that he fancied a g shock watch for work so I did some researching and came across this beauty which my I add is much more detailed in person the photo looks rather simple but it has a lovely workshop face much nicer than I thought it would be also Im not 100% with technical thing but the instructions are very simple and easy to understand and as it is a gmix watch I also managed to try out changing a couple of songs on my iPhone and it was pretty easier to get it set up and connect to my Bluetooth- pretty straight forward! I love the watch and was happy with what I got for the price! Very good delivery. My little brother like it. 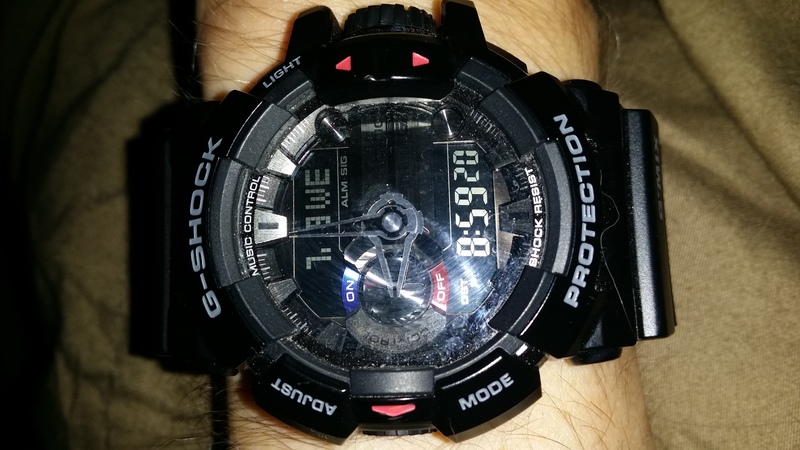 Really like my Casio G-Shock Gmix watch. Looks exactly how it looked on the picture and it is really easy to read. It was a little tricky to get it connected to my phone but once it was and I worked out all the functions it is brilliant. The watch does everything I want and need it to do and is also good fun. I only have one slight problem is the light, when it dark and you put the light on its a little hard to read the hands and the digital display doesnt light up. 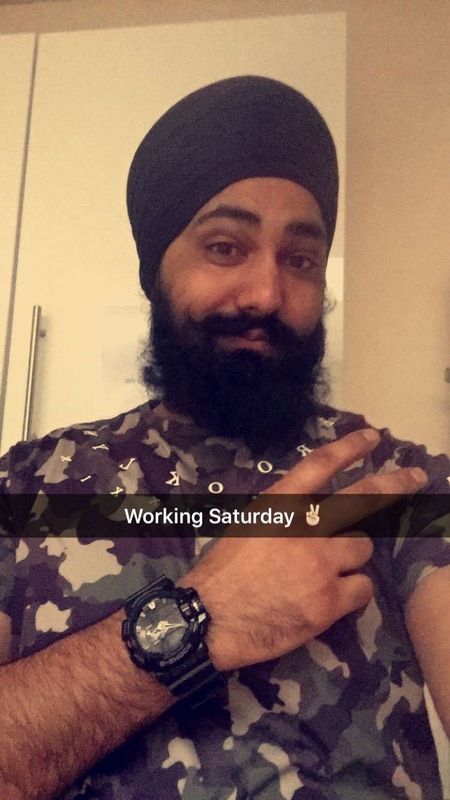 The service was excellent and my watch was delivered very quickly and with no problems at all. Overall I am very happy and would definitely use the service again. The watch was labelled as one of the Best sellers and I can see why. The picture was a very accurate representation of the watch and it came in packaging perfect to give as a gift. It came with a years warranty and an instruction manual to set the watch to the correct time which was very useful. I would 100% recommend this watch for people to buy as a gift or even as a treat for themselves and I will certainly be shopping here again! 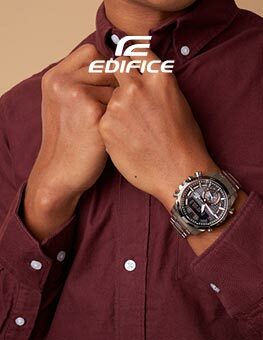 Exceptional service supplied and good watch does exactly as the description provided by watch shop. Came the day after expected but that was due to the busy time of year and not a problem. Good looking watch very good quality, brought for my husband and he loves it, Bluetooth feature is brilliant. Would defiantly recommend G shock. 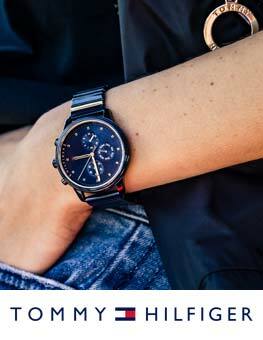 Great watch to look at, comfortable to wear and practical. Lots of good features too, especially the watch finder! Brilliant watch at a massive reduction in price compared to high street. Very fast delivery . Extremely happy. 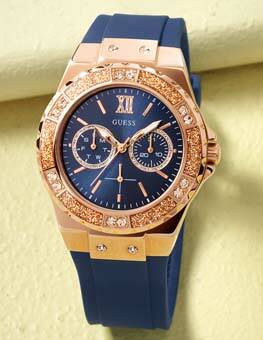 Fab watch great fast delivery would definitely shop here again. Excellent service from the watchshop. Item arrived quickly and with great communication on delivery time. Will definitely use again. Thank you. Paul. Love the watch! I actually bought it for my boyfriend and he is in love with it! Got the item quick, very fast delivery! Thank you so much! Fantastic watch... Does everything I want.. Joins up well with my Z3.. Delivered next day by Watchshop, very impressed with their service. 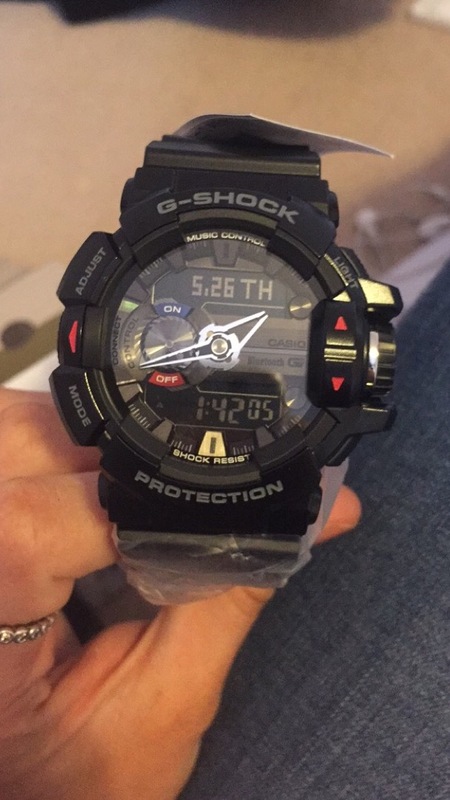 This G-shock is as described. Overall a very nice watch. The instructions are a little vague, it took me a while to realise I had to download the apps to my iphone before the Bluetooth connection would work. Only criticism is of the light, it illuminates the watch face and not very well, but not the digital displays as these have no backlight. 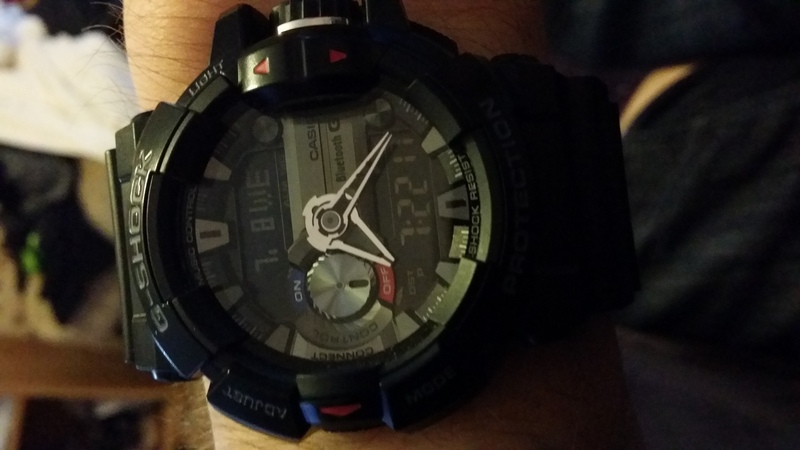 Its an awesome watch and Im very happy with it. I loved this watch but I did find it abit of a bulky was for daily use but it is an amazing watch just a shame I had to send it back that was the only down side. Over all great watch easy to set up. Nice watch but not compatible to Apple 6S so had to send back. It could do with some clearer instructions how to function watch but other wise ok.